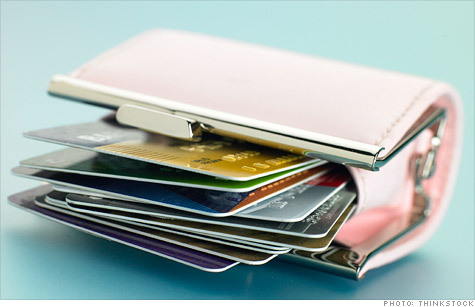 Can you be sued for old credit card debt? Question: If I have a credit card debt that is past due and I have not made any payments nor responded to any letters to pay and it has been more than 6 years; is this a stale debt and I cannot be sued for it? Answer: The number of years which determines a time-barred debt depends on the statute of limitations. Each state has its own statute of limitations; therefore I cannot state with certainty if 6 years or more of nonpayment on your credit card debt prohibits you from being sued. I need to first determine your state’s statute of limitations at debt statute of limitations listed by state. Credit cards are typically considered “open end accounts.” Once you find out your state’s statute of limitations for “open end accounts” there is some additional information you should read on determining exactly when the statute of limitations started on the credit card debt. This will give you the method of determining an accurate start date to properly determine whether you can be sued for the debt. Reviving the debt means the clock restarts and a new statute of limitations period begins. This would mean a collection agency would be eligible to sue you for the full amount of the debt, which may include additional interest and fees. You also want to pay attention to the 7-year reporting period the Fair Credit Reporting Act allows the negative account to remain on your credit reports. This is separate from your state’s statute limitations. You may be safe from being sued for the debt but the debt can still remain on your credit reports for 7 years. The method to determine when a negative account such as a charged-off credit card should be removed from your credit reports involves the first date you missed a payment and no other payments were made. The 7-year reporting period starts 180 days after that missed payment. It is called the FCRA Compliance date. The FCRA Compliance date does not change, even if an account is sold or transferred to a collection agency. After 7 years, even if left unpaid, the negative account must be removed by the original creditor and whatever collection agency may be currently reporting in your credit files. The best of luck to you.